These free St. Patrick’s Day worksheets teach kids about the holiday. There are many traditions and symbols that make St. Patrick’s Day an interesting holiday for kids. 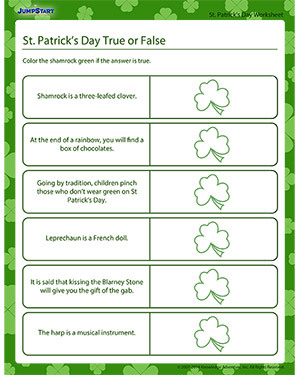 In this worksheet, they can try to guess which of the facts about the holiday are true.